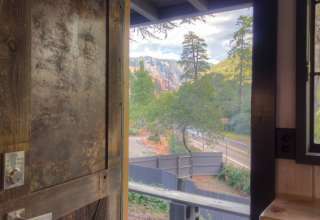 Our absolutely Gorgeous 2.5 acre property consists of 10 luxury cabins that sit right up on the Red Rocks of Oak Creek Canyon, Sedona, AZ with Breathtaking views in every direction! 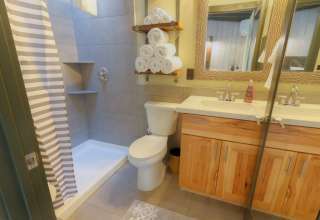 Our Luxurious Cabins have a rich history since 1952 with a modern rustic remodel in 2016. 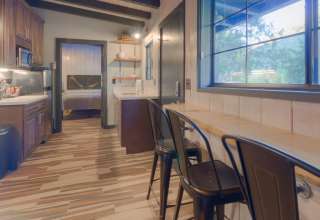 Cabin 9 has a living area with Queen Memory Foam Sleeper Sofa and TV as well as a Dining Bar that seats 4, a well equipped Kitchenette stocked with everything you need to make a wonderful meal or just store your leftovers from one of Sedona's fine restaurants! Dina hasn't saved any listings yet. Dina hasn't gone on any trips yet.